Shake, shake, shake it, baby! 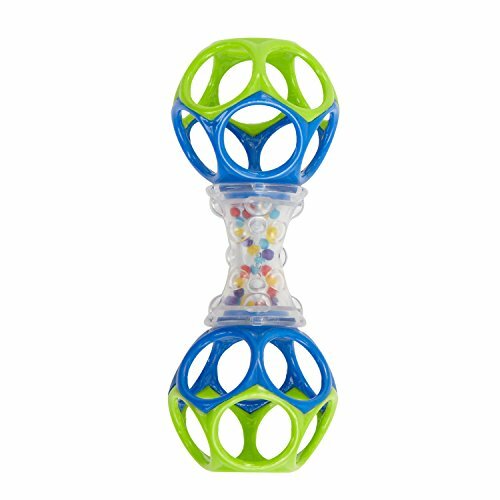 Made for the littlest of fingers, the Oball Shaker Toy is perfect for baby’s hands to grip and grab. The clear, textured handle reveals brightly-colored beads she’ll love to hear rattling all around. On each end, the rattle is made of flexibly firm Oball material, so your baby can squeeze and play any which way. This shaker toy is easy for baby to pick up… and too much fun to put down!